NDVI, or Normalized Difference Vegetation Index, can be a great tool for gauging the health of of plants by remote means.  Maps Made Easy is designed to process calibrated NDVI imagery only. With the proper equipment, NDVI imagery can be collected with a drone and processed to create map overlays that can give a wealth of potentially cost saving information. NDVI cameras are expensive. Currently, the most inexpensive option for real NDVI is the Sequoia by Parrot at ~$3500. Also available are the TetraCam's ADC Snap which costs ~$4500 to MicaSense's RedEdge ~$6200 camera, few people are willing to make such an investment for something that they don't fully understand when it seems like you can just buy one of these hacked cameras and get similar results. Below is a sample of the Sequoia camera being used to make absolute measurements over time. Three visits to the same area on April 1, July 8 and August 12 show how the vegetation has dried out. These layers were all taken under pretty different light conditions and you can see it does a really good job of maintaining constant values for unchanged areas. RGB and NDVI layers for each date are shown.  The data was take using the Drones Made Easy Agronaut system which is a DJI Matrice 100 with some custom electronics to drive a H4-3D gimbal to stabilize the camera. The custom on board computer also does the data preparation for upload to Maps Made Easy. For further examples of the data that is taken by the Agronaut and how it is processed, see our article about NDVI Image Stack Processing. Notice the full range of red to dark green that are representative of values that range from -.3 to 1. This is a good range and you can see that dead/non-plant objects, like road, are red. Certainly not healthy plants. The plant areas of the fields and trees are green with values from .3 to .9 representing active photosynthesis. The ND in NDVI is "Normalized Difference" and means that this is a self correcting measurement of the ratios of near infrared (NIR) and visible (VIS) light. The full range of values should take up a good amount of the space of the range from -1 to 1. In hacked cameras, it is common for the amount of NIR light being accepted by the camera to be far different than that being collected in the visible which results in the range being calculated having a range of only .2 or .3 of the full range. If the whole image is green, does that mean that everything is healthy? Nope. It means the camera (or data wasn't calibrated properly and the ratios that got calculated do not represent what is actually going on on the ground. Notice that the range is between .8 and 1. This camera was allowing way too much NIR light in or was not properly calibrated to account for the large discrepancy between the NIR and VIS light levels. The numbers between -1 and 1 actually mean something. You can't just stretch values that were calculated as ranging from .2 to .5 over the -1 to 1 range and call it accurate NDVI data. It may look nice and have some red and some green in it, but it won't MEAN anything. The information created by doing this is not actionable intelligence. If a bad NDVI mapper gives a farmer such information and he acts on it, it will likely kill his whole crop. Luckily, farmers are smart and know better. This is where Ground Truthing comes in. If you absolutely must use and uncalibrated camera, you can still use Maps Made Easy to stitch and calculate your index imagery. Our tone mapping (which can be adjusted) assumes that the NDVI calculated values of 0 or less are dead or inanimate. Values of .3 or higher are generally in the healthy range. This is the science behind using NDVI as a indicator of plant health. Make sure the camera's white balance is fixed if you can. Use a fixed exposure time, if you can. Take some close up ground truth images of known healthy and known dead areas (like bare dirt). Manually calculate a few values for known good and known bad surfaces using a free tool like ImageJ to get the raw RGB values. Determine what your captured range is. Adjust the tone mapping table at the time of upload by adjusting the "NDVI Settings" to reflect your custom range. The color map on the right is drawn from the standard values Tetracam uses that span the full range of -1 to +1. The modified color map on the right will show the compressed value range of .25 to .8 as colors ranging from red to green. This modification needs to be made at the time of upload. After custom tone mapping, the data will still not mean anything. The values will still be uncalibrated but the imagery will at least show the colors you want to map. Maps Made Easy does not, and will not, stretch the calculated values in order to have the data "look" correct. Data is correct or it is not. We have never been shy about sharing our opinions on the mis-service these vendors are doing the industry. If too many people start sharing this bad data commercially, the Agricultural industry will very quickly get turned off to the technology when in fact it could be a great tool as long as people do it properly. I should have read this a month ago when I ordered a replacement lens. Some things need to be learnt the hard way. Thanks Tudor for your opinion. We have a lot of experience using multispectral image data to detect features and know that there is a lot more to it than just slapping a filter in front of it. We really wish companies would stop selling these hacked cameras saying that they can help farmers make measurements. We feel the technology is being given a bad reputation as being expensive and inaccurate by people who lack the background required to reduce the data into actionable information. I have found two companies that advertise NIR. I would be interested in hearing your thoughts on each. If a camera is a standard/consumer RGB bayer pattern camera with a filter in front of it there will be too much crosstalk between bands to accurately be able to separate them out for radiometric measurements such as NDVI. Since there is no daylight sensor there is no way to account for lighting differences between visits. Yes. These cameras can show that there are relative differences within a given area. Without a incident light sensor there is no way to tell if these differences are caused by differences in lighting even within the same mapping run. A real and calibrated NDVI camera will account for differences in lighting and maintain consistent and comparable outputs between multiple visits to the same site, regardless of lighting. The Sentera cameras are interesting and are kind of a middle ground between a full NDVI system and a hacked camera. It is purpose built and has the ability to be calibrated in mind. We like that. They are smart guys trying to build a cheaper system and we can certainly identify with that. Our customers have nonetheless found value in non-calibrated NDVI maps -- maps that would otherwise never have been generated at all without the availability of low-cost conversions. We make sure that our customers are well aware that the maps should not be relied on as an source of absolute value -- meaning that they cannot be compared with a neighbouring field or any other map generated at another time. The same is true, of course, if lighting conditions change significantly during a flight. But despite those shortcomings, getting a measure of relative crop health still helps direct crop scouting to areas requiring special attention on the ground. But I do understand your reservations and appreciate the desire to keep striving for better imagery that can be used as a reliable data source for temporal comparisons as well. Does your software handle single band images or only work with dual band pictures for NDVI processing? Hey I'm looking into purchasing the Sequoia for accurate NDVI imaging. I'm a big fan of MME processing, however having never used the Sequoia before, I'm wondering what the work flow would be like (I currently use a 3DR solo, so I manually geotag photos then upload to MME). The Sequoia has a built in GPS so if I flew it on my Solo the photos should all be georeferenced. Am I understanding it correctly that after a survey mission I would end up with a set of georeferenced RGB images I could upload for to MME, and 1 set of georeferenced images with the multispectral data from which MME could output a calibrated NDVI orthomosaic? I have tried to use a pair of RGB and NIR Mapir camera's in the past, but the dual camera set up requires pix4d to properly process, and I found the modified consumer camera not a set up I was confident in using for commercial work.